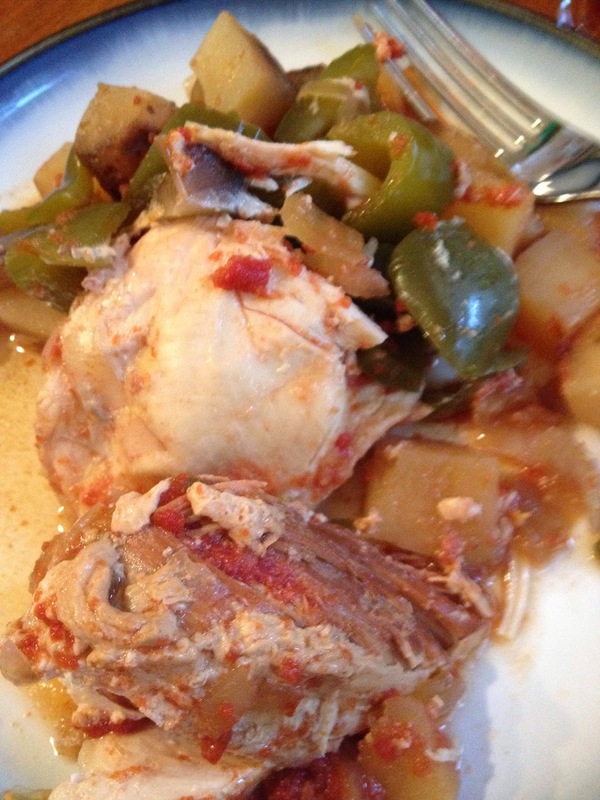 Continuing on my journey with freezer cooking, this crockpot meal was next in my experiment. BBQ chicken is one of my favorite foods, so I was excited to try this one. The original recipe was found at Little House Living. Plus it is gluten free, so that is a bonus! The recipe was pretty good. I do find myself often trying to make improvements after trying a recipe and I think that the next time that I make this one, I will be adding a little more spices. 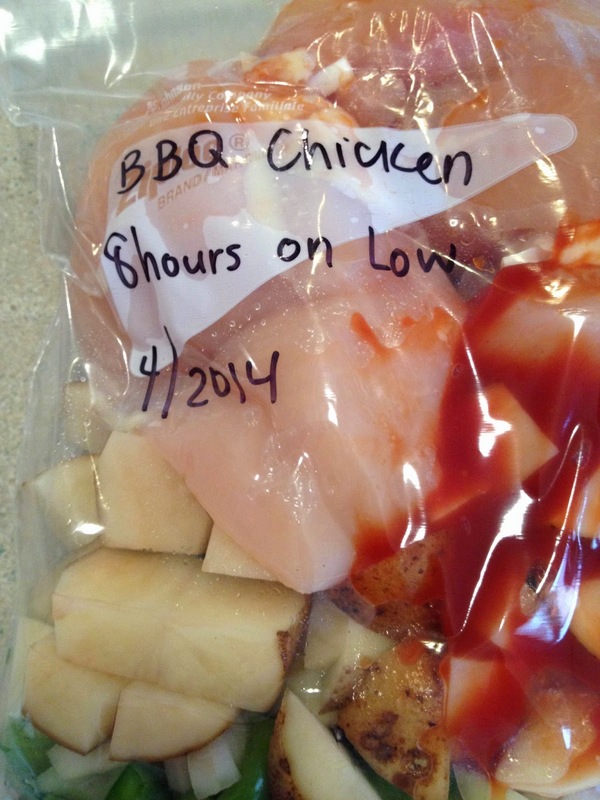 The chicken was without a lot of flavor despite marinating in the BBQ sauce all day long. 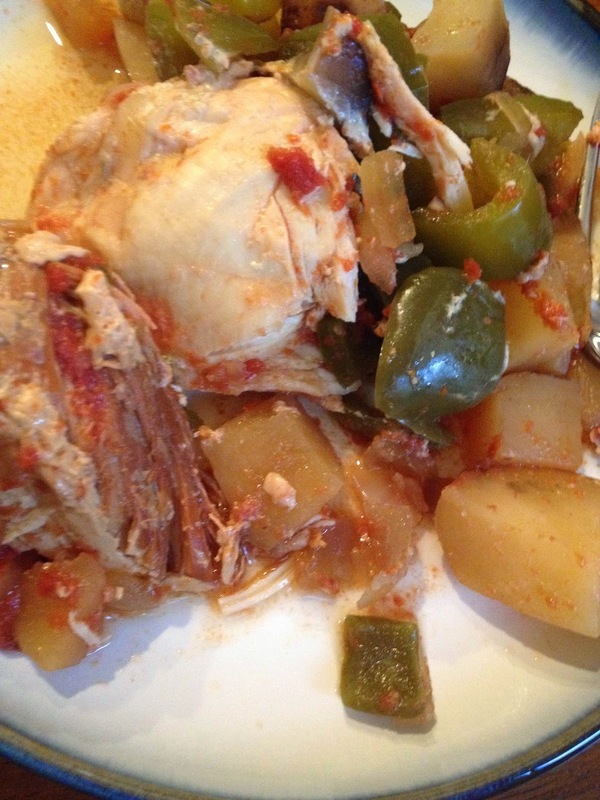 The peppers and potatoes were quite savory, so I just need to get the chicken as flavorful!